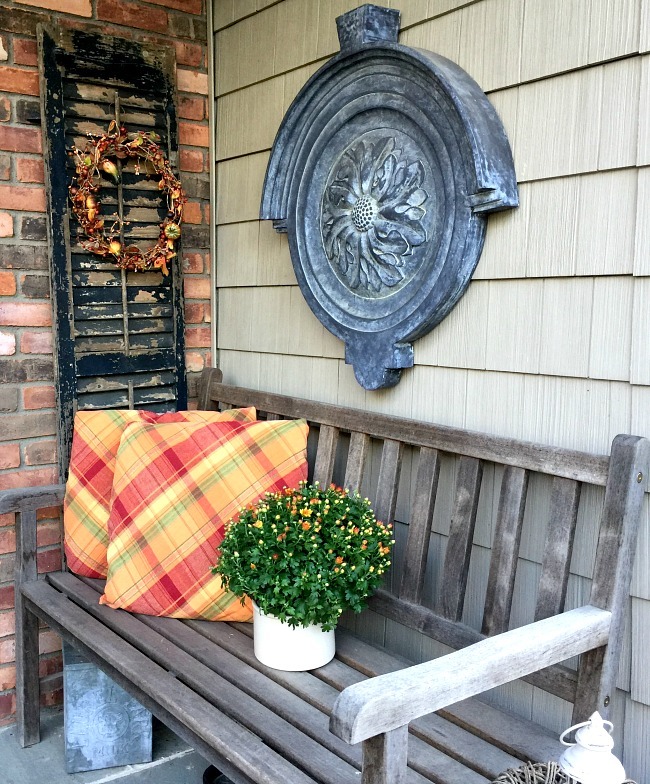 The pillows on my front porch don't get a lot of use, they are really just there for decoration. Nobody sits on the bench very often. I like to change out the pillows every season but that can get a little costly. So here is my little secret. I'm using an old tablecloth but you can also buy fabric or find something at the thrift store you like. I cut the fabric into a large square, about 6" larger than your pillow all the way around. 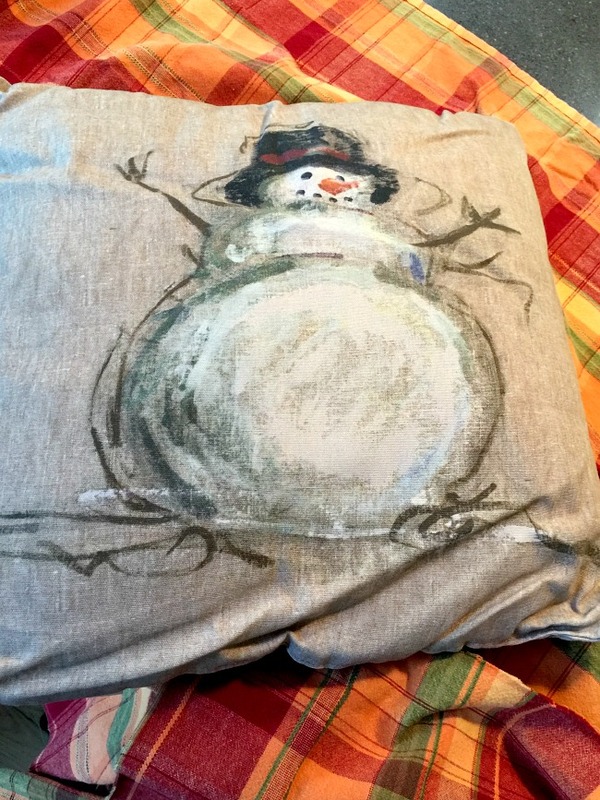 Like my pillow insert? 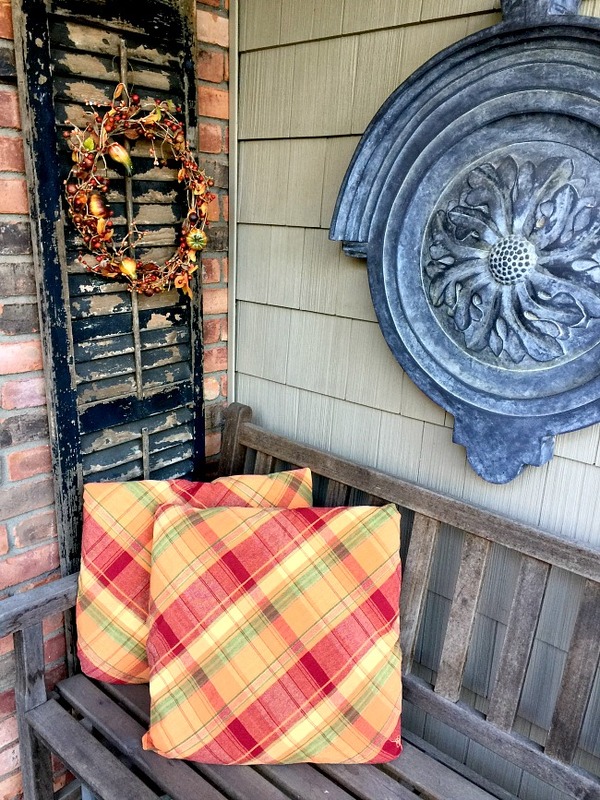 It's an outdoor pillow from Pottery Barn that will eventually see the light of day but for now it works all year long inside my pillow covers. 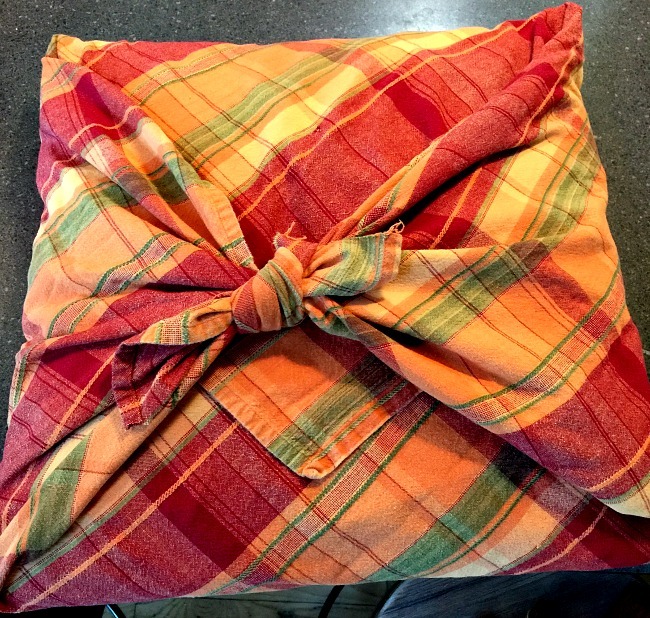 I lay the pillow diagonally on the fabric and fold over the 2 opposite corners. Then with the remaining 2 corners tie a knot across the pillow. 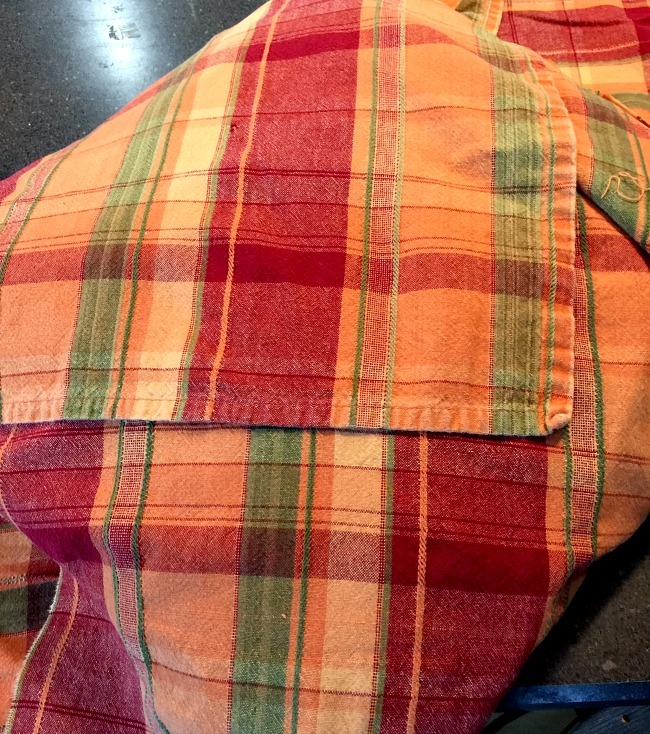 The back of the pillow doesn't show but you can tuck in any edges. 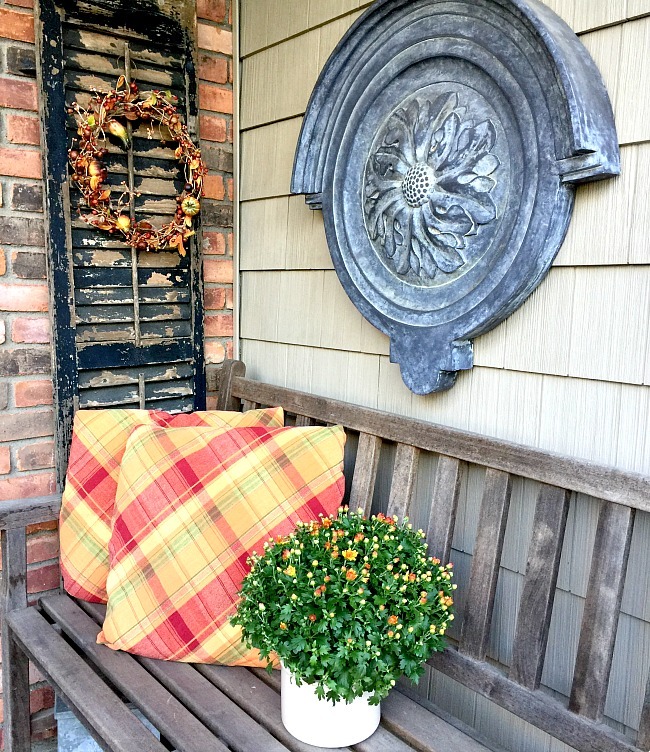 And there you have it... instant festive seasonal outdoor pillows! yourself a new set of pillow covers. 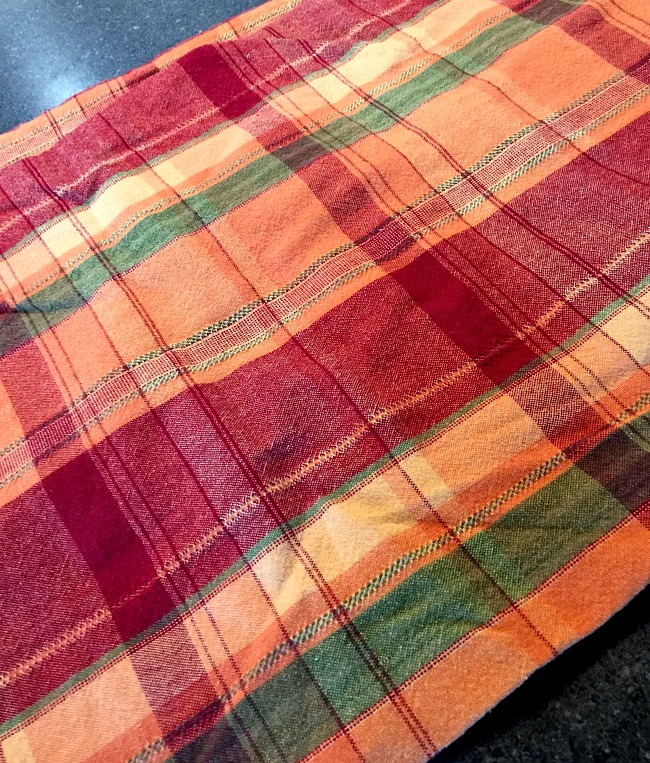 The fabric can be washed and repurposed or used again next year. 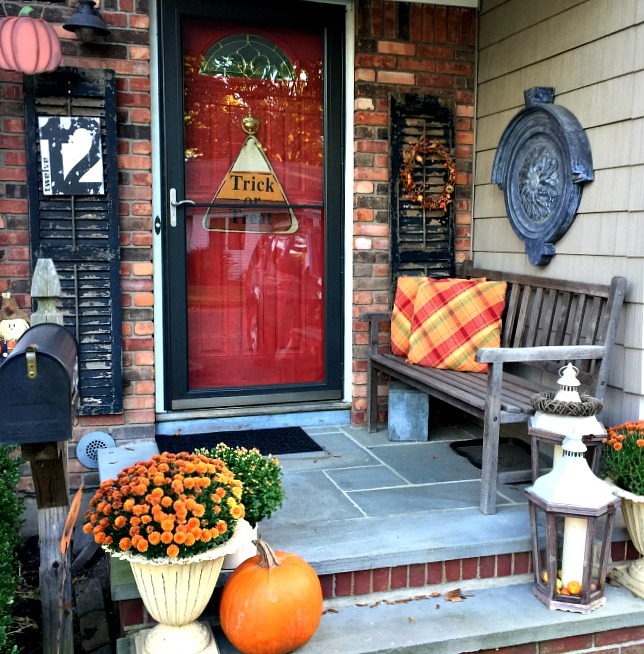 Your front porch is better decorated than my house! Love it.